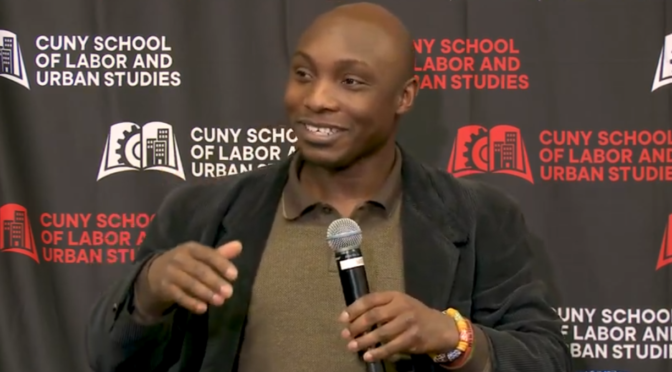 On Friday, March 8th, members of the SLU community gathered to hear Professor Kafui Attoh in conversation with Eric Goldwyn of NYU’s Marron Institution. The conversation cenetered on a fundamental question: Is public transportation a right? Should it be? Is public transportation a right? Should it be? For those reliant on public transit, the answer is invariably “yes” to both. For those who lack other means of mobility, transit is a lifeline. It offers access to many of the entitlements we take as essential: food, employment, and democratic public life itself. Rights in Transit offers a direct challenge to contemporary scholarship on transportation equity. Rather than focusing on civil rights alone, Rights in Transit argues for engaging the more radical notion of the right to the city.